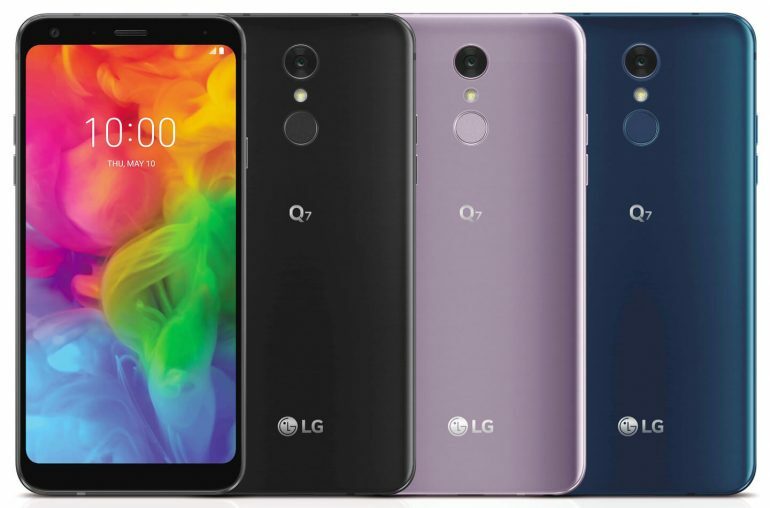 LG announced the Q7 mid-range smartphone series, offering various premium features from the advanced G7 ThinQ in a sleek metal body. 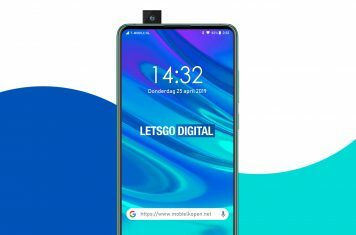 Last month LG announced their new flagship model, the LG G7 ThinQ. The Korean manufacturer has now also announced its smaller brother, the Q7. The successor to the Q6 is a mid-range smartphone, offering less powerful specs in a premium housing. 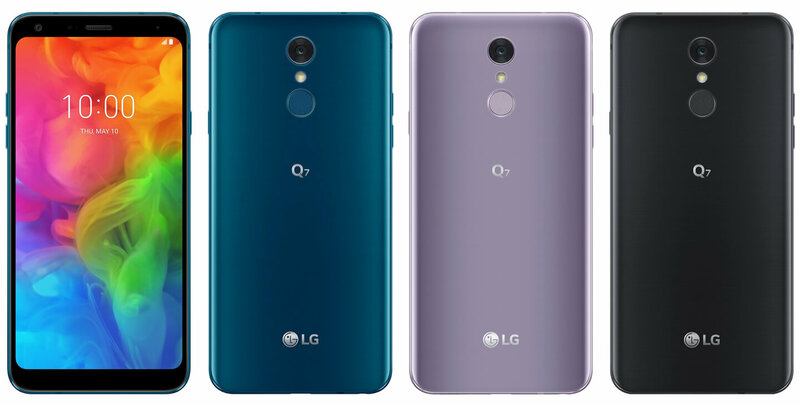 The LG Q7 series consists of the Q7α, Q7 and the Q7+. 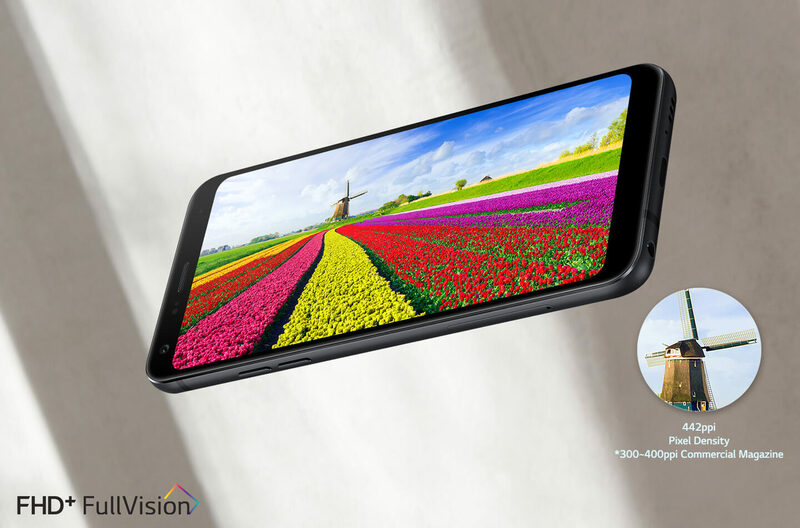 The LG Q7 smartphones feature a 5,5-inch FHD+ FullVision display with an 18:9 aspect ratio. The sleek and thin-bezeled body looks stylish. The mobile handset features a 2.5D Arc Glass design with rounded-edges that makes the device comfortable to hold and operate with one hand. 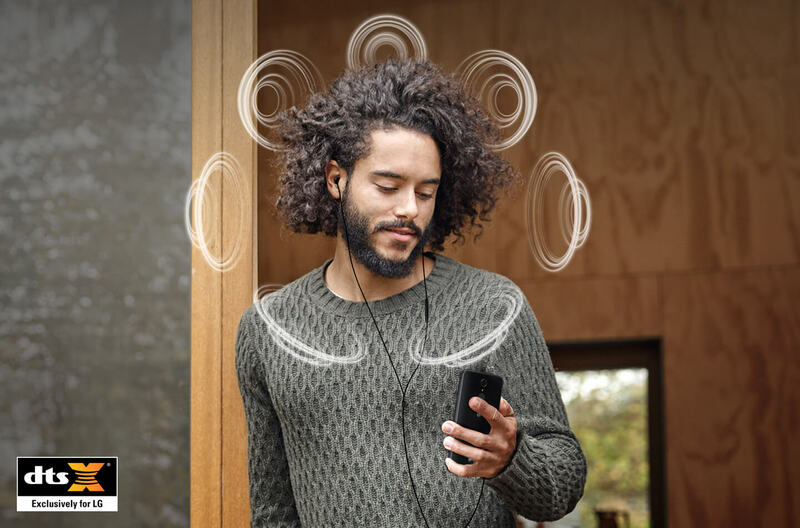 The metallic body and rear metal frame of the Q7 is able to stand up to the rough and tumble of active use thanks to its IP68-certified water and dust resistance rating. In addition, the LG Q7 has passed 14 of the MIL-STD 810G tests designed by the United States military to evaluate the performance of equipment in harsh environments. The LG Q7 and Q7α are powered by a 1.5Ghz octa-core Qualcomm Snapdragon processor with 3GB of RAM and 32GB of storage capacity. The Q7+ comes with a more powerful 1.8Ghz octa-core processor with 4GB of RAM and 64GB storage. Also in terms of camera specs the three phones differ from each other. The most expensive model, the Q7+ comes with a 16 megapixel rear camera and an 8 megapixel selfie-camera. The LG Q7 features a 13 megapixel camera and an 8 megapixel front-camera. In addition, the cheaper Q7α incorporates a 13 megapixel camera with a 5 megapixel selfie-camera. Shooting 100-degree super wide angle shots is possible in 5 megapixel resolution. Furthermore, all three models feature a Phase Detection Auto Focus (PDAF) to rapidly focus on a subject. The new portrait mode enables users to make sharp portraits with a blurry background. The new LG Q7 series also incorporate the QLens. Leveraging AI technology for image recognition, QLens lets users use the camera to improve the image searching and online shopping experience. Users can capture any item with QLens and get information on where to buy the product online as well as recommendations of similar items. QLens can also perform an image search to see matching or similar images of food, clothing, celebrities or landmarks such as buildings and statues. The new mid-range smartphone models also offer a fingerprint sensor on the back. 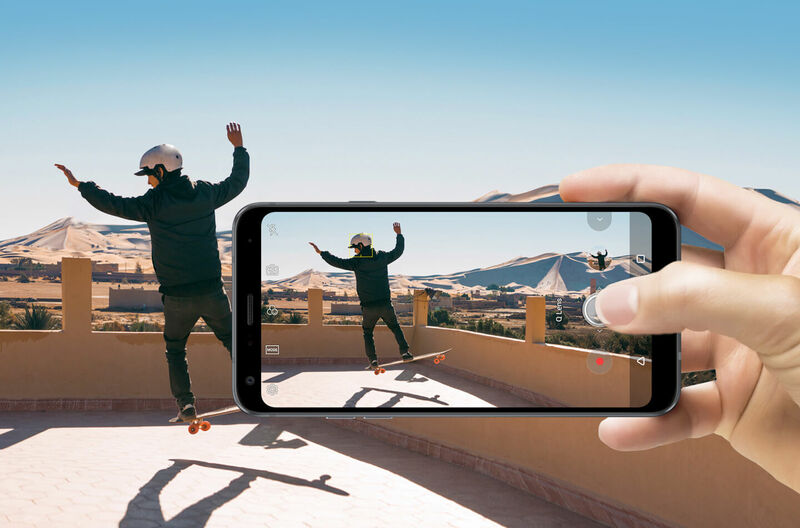 The sensor is located conveniently below the camera lens and does not only allows users to unlock the phone easily, it can also double as the camera shutter button, take screenshots and control the notification bar. Furthermore, the Q7 handsets run on Android 8.0 and feature a 3.000 mAh battery that support fast charging. The Q7´s battery can be charged to 50 percent in about 30 minutes. The LG Q7 will be available in three configurations of Q7, Q7+ and Q7α, depending on the region and market. Shipments to key markets in Europe will begin early next month, followed by countries in the Americas and Asia. Price details will be announced locally at the time of availability. The Q7 and Q7+ will be available in three color options; Aurora Black / Moroccan Blue / Lavender Violet. The cheaper Q7α is only available in Moroccan Blue.